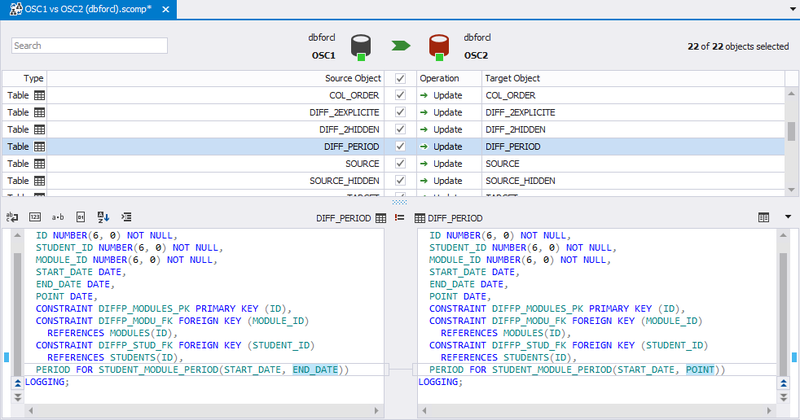 Achieve an enterprise level productivity with dbForge Studio for Oracle! 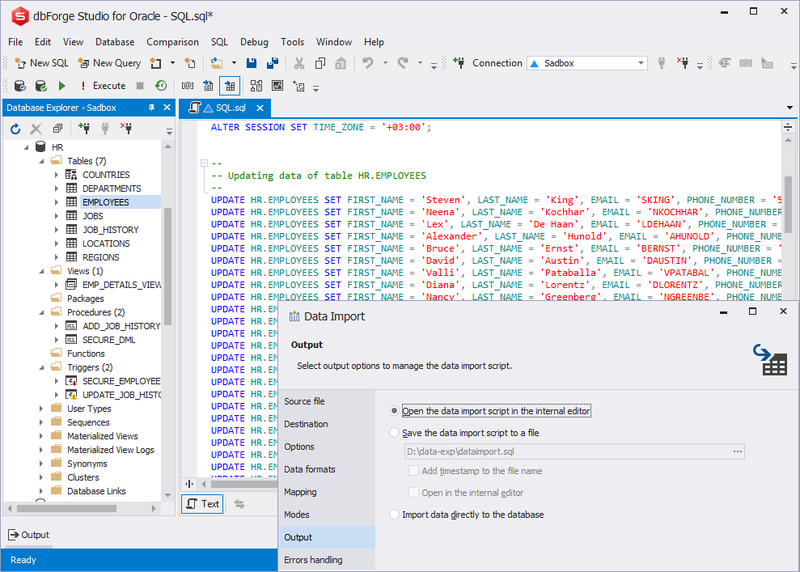 We are thrilled to inform our Oracle users that dbForge Studio for Oracle got a really massive update that took database development and presentation of the development results to a new level! 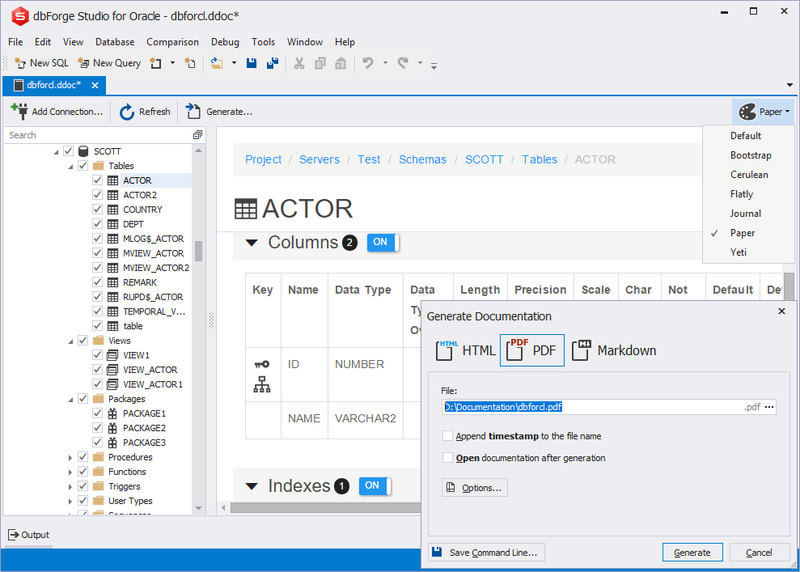 By popular request of our users of the Professional edition of dbForge Studio for Oracle, we have developed the advanced features and implemented them in the Enterprise edition of brand new dbForge Studio for Oracle, v4.0. 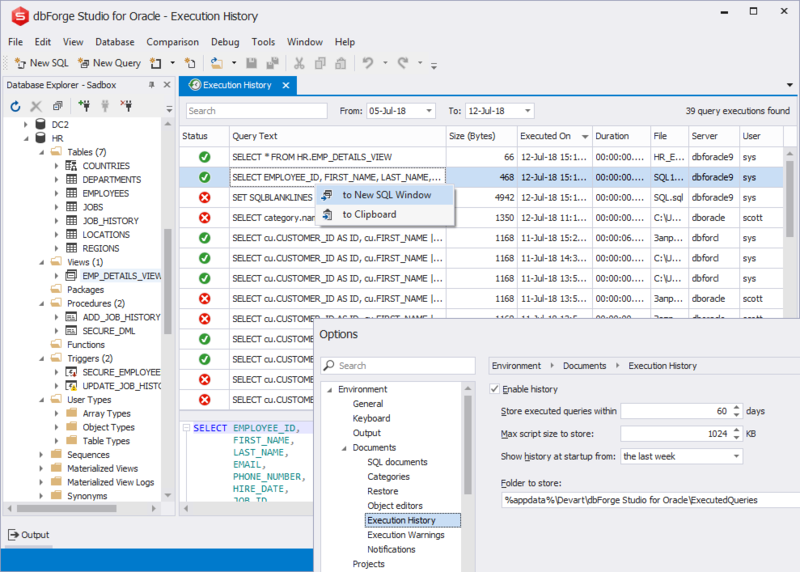 Along with all features of the Professional edition, the new Enterprise edition of dbForge Studio for Oracle includes the following exclusive features. The Data Generator feature allows generating millions of records of meaningful test data in a wink. A rich collection of data generators and advanced customization options will make your test data look like real-world data. 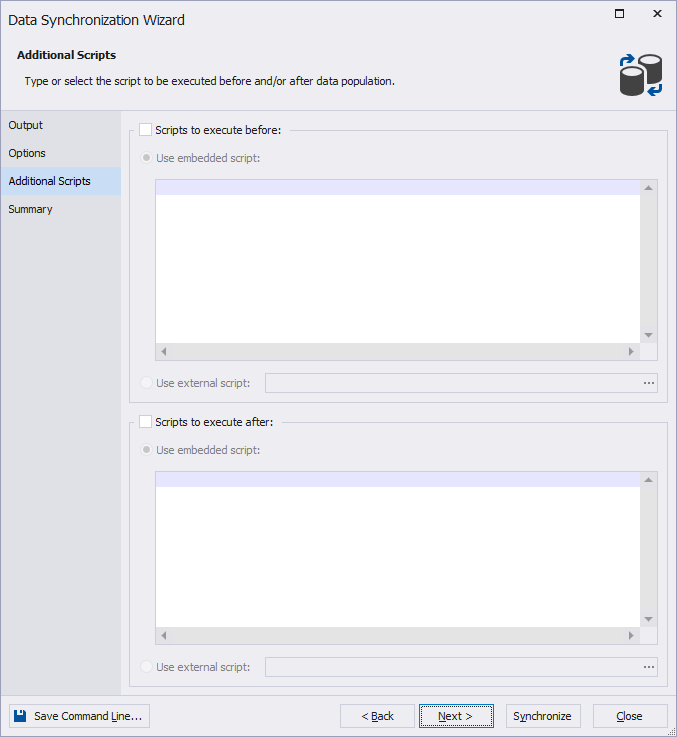 In addition, the tool allows creating your own unique data generators! We are glad to present the Documenter feature for documenting and presentation of the Oracle schemas. The schema structure is presented as a neat navigation tree. Each item of the tree allows displaying properties of each schema object as a skinned HTML list with the ability to set up color palettes and fonts. The tuned variant of database documentation can be exported to HTML, PDF, and MARKDOWN. Now you can easily migrate table data between your Oracle tables and Google Spreadsheets. All you need to do is to specify an URL/ID of your Google Spreadsheets table, and our handy Data Export Wizard and Data Import Wizard will do the rest of the work for you! 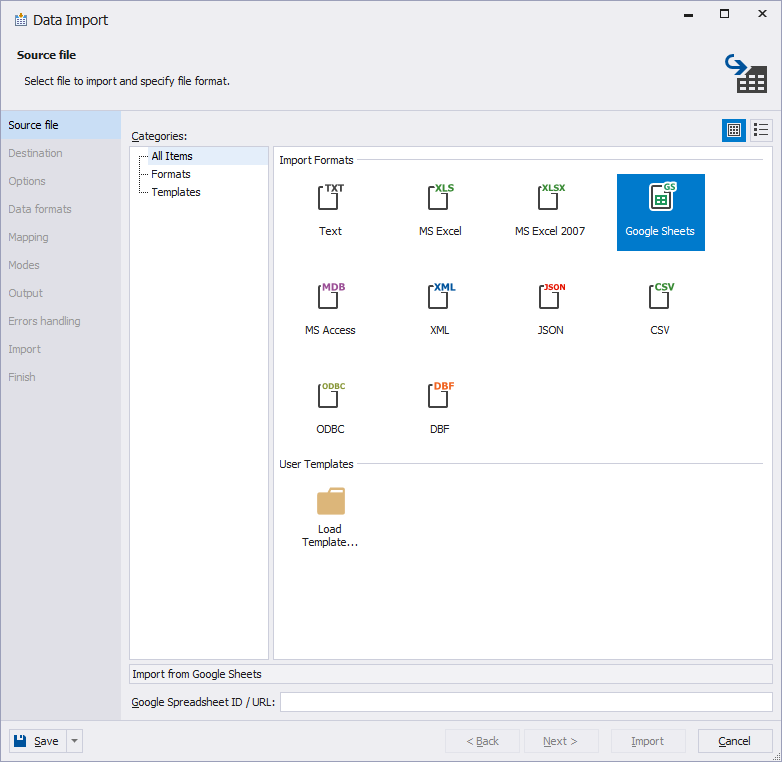 The Data Import and Data Export functionality support JSON, an open-standard format that uses human-readable text to transmit data objects consisting of attribute-value pairs. 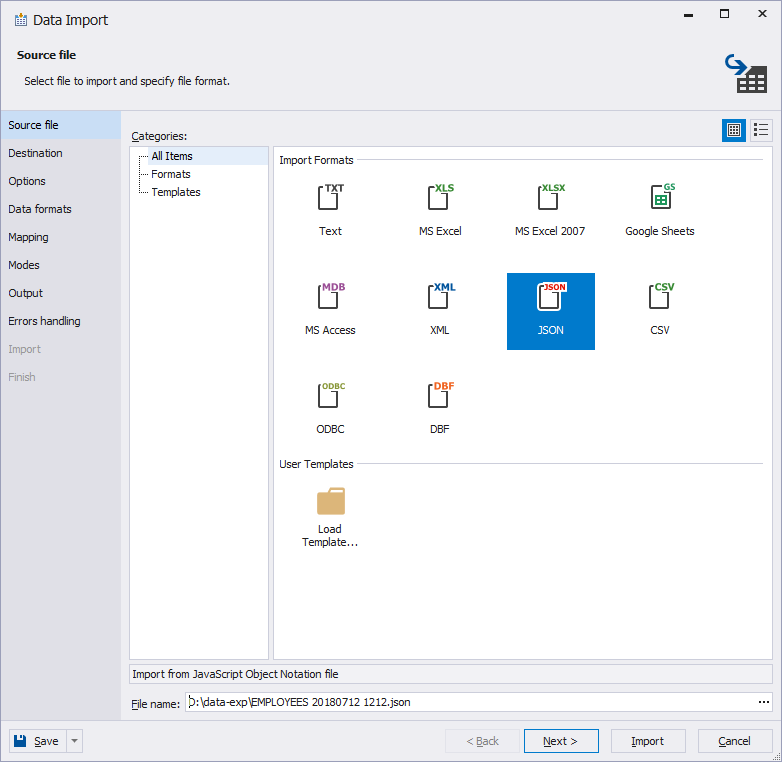 When importing data, you can specify what you would like to do with the generated Update script, – opened it in the internal editor, save it to a file, or execute it immediately against a database. 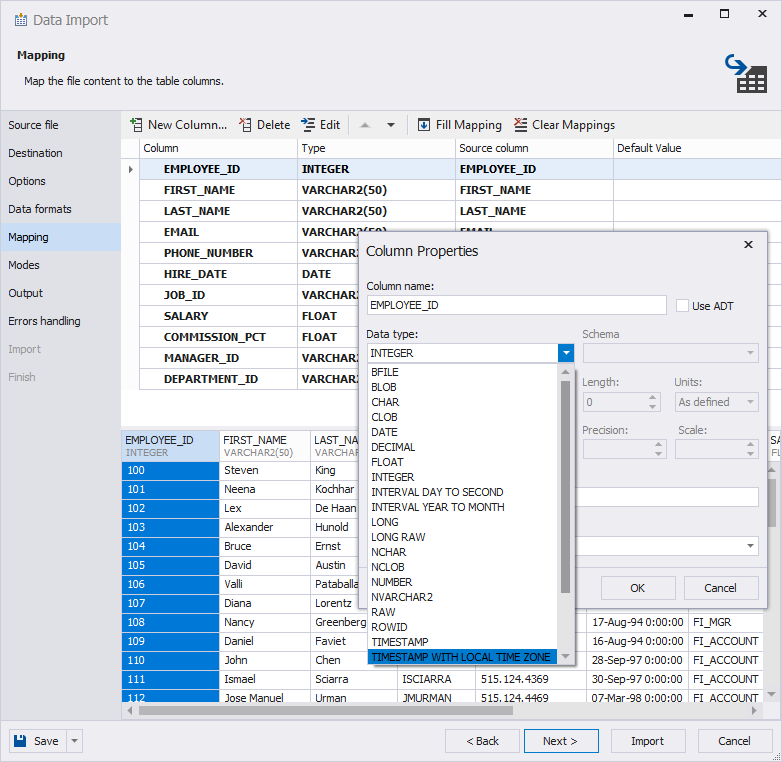 When you import data from the Excel files, dbForge Studio for Oracle analyzes column data and automatically assigns data types to them. Each document creates its own connection. The Close All Unmodified Tabs command. The Format Document (CTRL+K+D) command in the shortcut menu of the SQL document. Closing code completion connection to Oracle Server when it is not being used. Query navigation. To navigate between keywords within the query, you can press Ctrl+F12 or use the Jump between Syntax Pairs option from the shortcut menu. 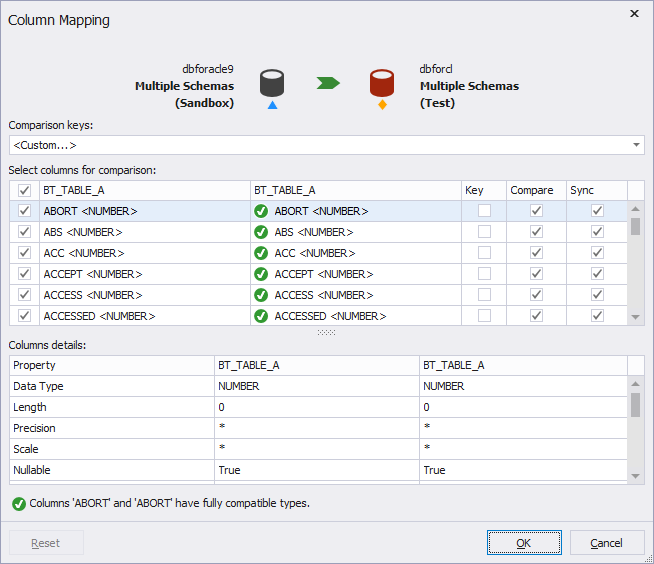 Greatly redesigned Query execution history. 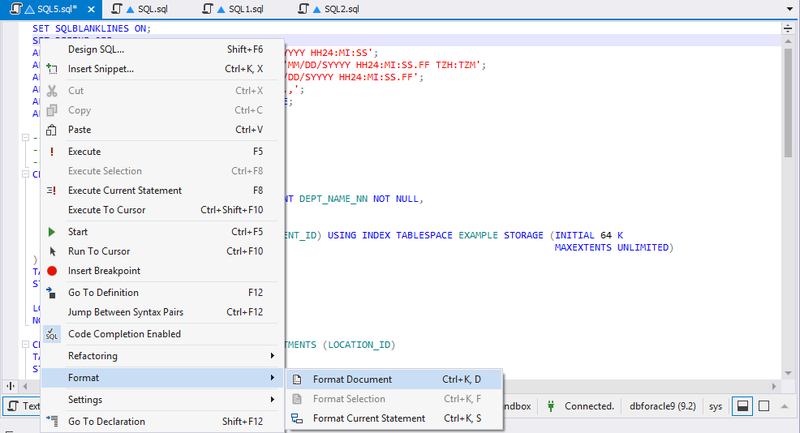 With the new Execution History document, you can easily locate the required executed query, view text and re-execute it. Data Viewer has been enhanced with a display of data type and size. 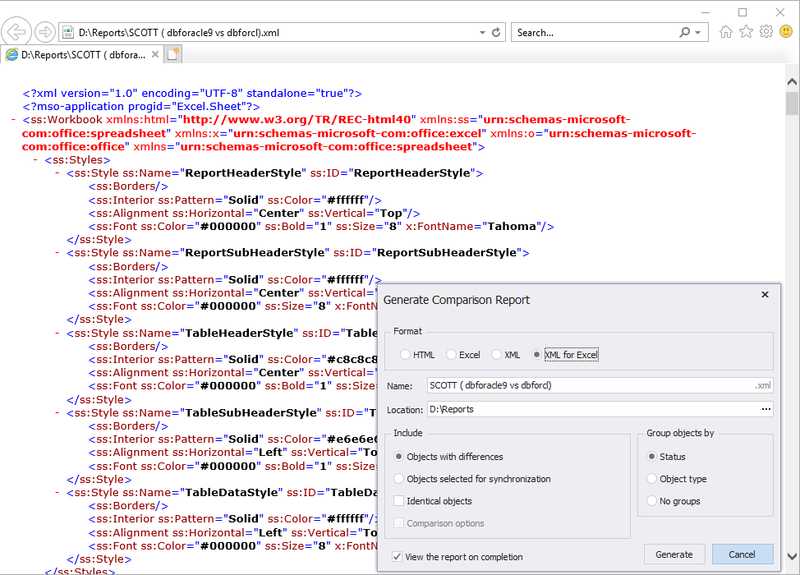 The Generate Comparison Report dialog box now allows creating reports in the XML and XML for Excel file formats along with the HTML and Excel file formats. Associate column names having similar name options. Ignore case in objects names. Ignore spaces in objects names. Ignore firing order for triggers. Ignore foreign keys actions ON UPDATE and ON DELETE. Ignore triggers present only in Target. Ignore indexes present only in Target. Ignore Dependent Objects In Others Schemas. Ignore double quotes in PL/SQL blocks. Ignore external table location information. Ignore START WITH in materialized views. Ignore START WITH in sequences. Use DROP and CREATE instead of ALTER for tables. Use DROP and CREATE instead of ALTER for views, procedures, functions, triggers, packages, Java Sources. Multiple Indexes on the same set of columns. Partial indexes for partitioned tables. 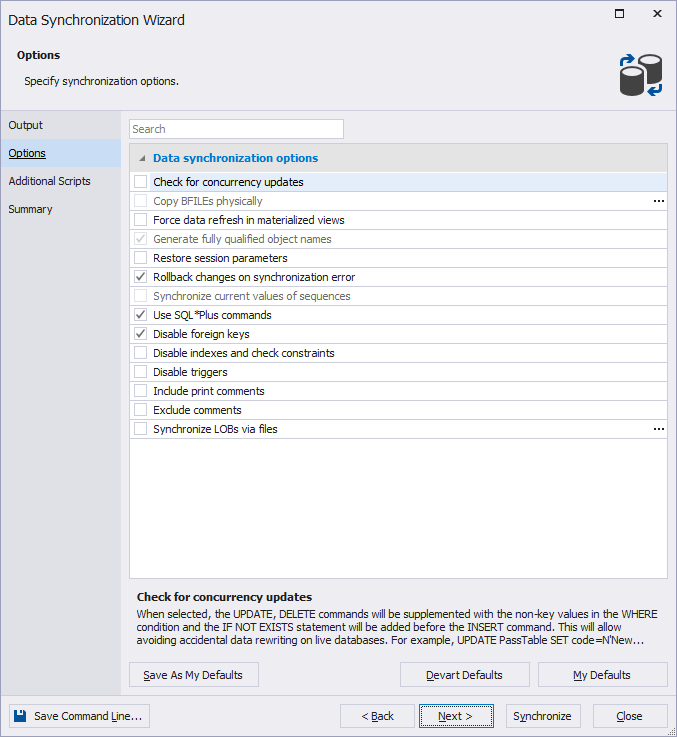 Advanced index compression with partitioned indexes. Indexing JSON data and function-based indexes. 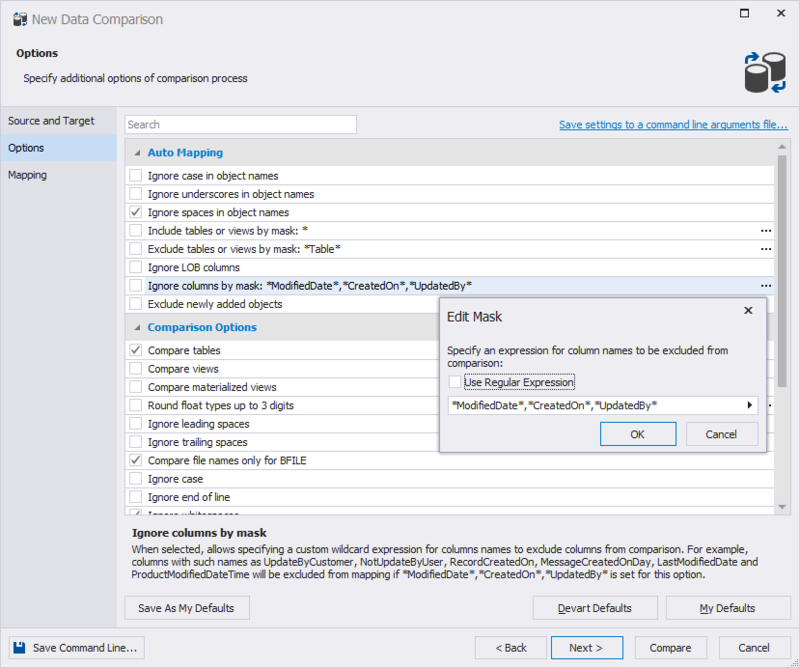 Constraint name of view supported in read-only subquery restriction. Materialized view log: FOR REFRESH clause. Column-level collation and case-insensitive database. Full-text search (JSON search indexes). Include tables or views by mask. Exclude tables or views by mask. Ignore spaces in middle of varchar. Always exclude newly added objects. Ignore datatype for virtual columns. The Column Mapping dialog box now includes the Compare and Sync checkboxes for each column pair. 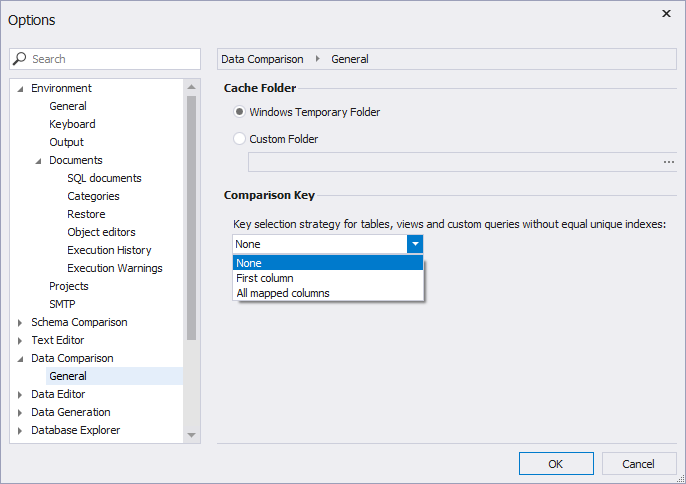 The option allows you to easily exclude/include column pair form/into comparison and synchronization. Synchronize current values of sequences. 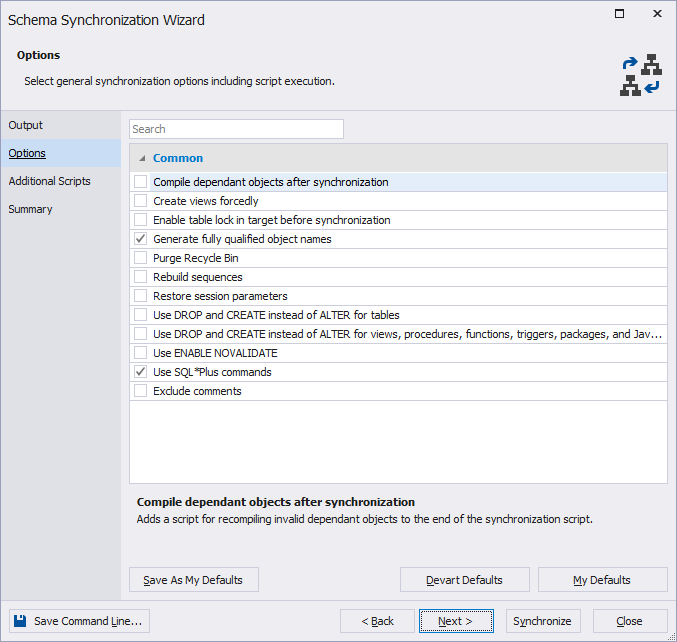 Data Synchronization Wizard includes a new tab, Additional Scripts, that allows typing or selecting a script to execute before and/or after data synchronization. 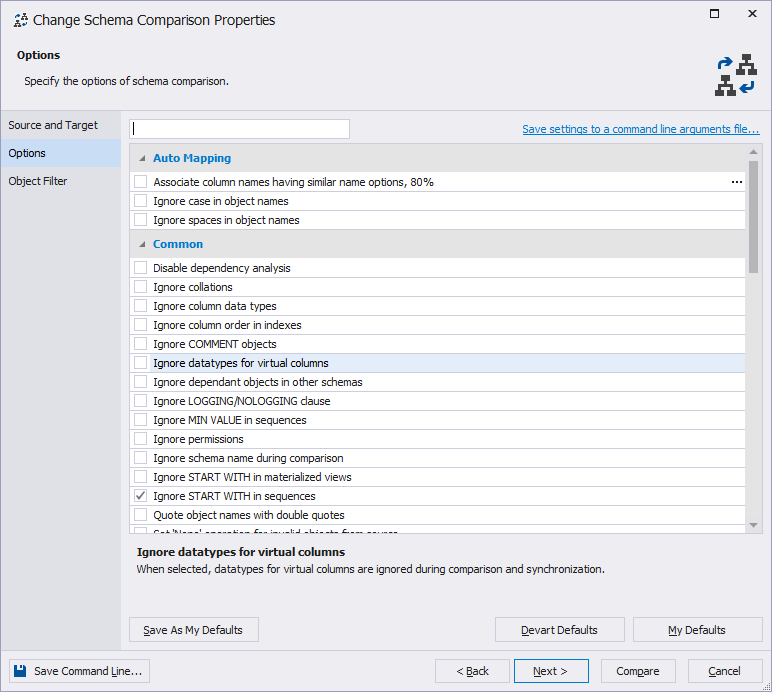 The Data Comparison tab of the Options dialog box includes the Comparison key option allowing to select a strategy for tables, views and custom queries without equal unique indexes. Greatly improved visual style of the tool. Command line execution file wizard. Improved support for high DPI and 4K resolution. 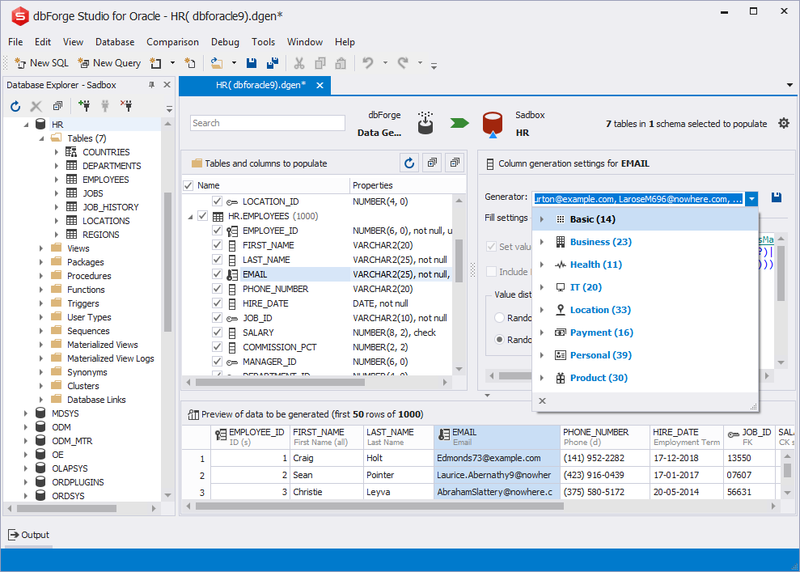 We invite you to try the new edition of dbForge Studio for Oracle and share your thoughts about it with us. This will help us to make dbForge Studio for Oracle better.